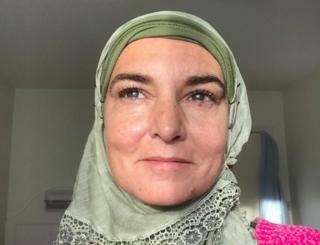 Irish singer Sinéad O’Connor has announced she has converted to Islam. Singer-songwriter Yusuf Islam, known by his stage name Cat Stevens, converted to Islam in 1977 and halted his career two years later to focus on work in the Muslim community – not returning to music until the release of a new album in 2006. O’Connor rose to fame in 1990 with a striking arrangement of Prince’s Nothing Compares 2 U. Her version of the ballad topped charts across the world and spent four weeks at the top of the Billboard Hot 100, earning her three Grammy nominations. The music video, directed by John Maybury, consists mostly of a close up on O’Connor’s face as she sings the lyrics.